I wonder how those who lost loved ones in the recent conflict here feel about the Shankill bomb commemorations. Perhaps they feel a sense of solidarity, identifying their own suffering with the suffering of those innocent Shankill victims. Or perhaps they feel like the victims of the Dublin/Monaghan bombs: why are other acts of carnage remembered and theirs forgotten? Nobody who has heard Alan McBride, who lost his wife and father-in-law in the bomb, could fail to be impressed by his response to the appalling loss that was inflicted on him. Rather than find new ways to condemn those responsible for the bomb, he looks for ways to help those who have suffered and to work so that such things never recur. The loss of a single life to violence is a terrible thing. The loss of so many in a tightly-knit community is catastrophic. And yet McBride has somehow risen above this and gathered good out of what was bad. I was listening to a Protestant minister, I think it was, talking on Radio Ulster/Raidio Uladh this morning. He was asked how he regarded Thomas Begley, the bomber killed in the explosion, and he said he’d prefer to focus on the Shankill people and their suffering. When Alan McBride was asked a similar question a couple of weeks ago, he said that he’d been hurt on the first anniversary of the bomb by the sound of bands apparently celebrating what had occurred. As to a monument or more accurately a plaque to Begley, he said that if this was done quietly and without deliberately adding to the pain, he saw how it might help those who had loved the dead man and he had no objections to that. It’s those kind of sentiments that for me mark McBride as a man of outstanding forgiveness and compassion. What made the Shankill bomb so brutal? Because it killed innocent people. The IRA said that their goal was not those people in the fish-shop but a UDA meeting scheduled to take place above the fish shop. However, as has been pointed out to me, that still leaves the question – beyond the obvious dangers of carrying a bomb into a densely populated area – of how the UDA meeting could have been bombed without loss of innocent life. That’s Sir Arthur Harris speaking during WW2, commonly known as Bomber Harris or Butcher Harris. He was decorated and a statue erected to his memory. I watched on the news last night as the people of the Shankill moved in quiet and dignified procession from one bombing site to the next and then a man called Redpath (I think) came on and explained that they were commemerating the deaths that occured at 5 different blast sites caused by Republicans. It wasn’t until the news was over that I began to think about what he said. Because then I thought “what about the people shot dead by Republicans?” would they feel left out, snubbed even? Then the penny dropped, I believe the reason is that the UDA and UVF didn’t cause any deaths by explosion on the Shankill Rd whereas they shot dead quite a few local Shankill Rd people. If they had included the Republican shooting victims they probably would have had to include all shooting victims and they just couldn’t stomach that they would have had to commemorate the victims of their own internicine feuds, bloodlusts and gangsterism. I don’t think it would have been as dignified if the UVF had to stand for a moments silence at the spot where they murdered Bobby Moffett. That is a point you make again and again. But it is possible to deplore the actions and words of Bomber Harris and also the Shankhill bombing. Both wrong in my book. Do you think they were both wrong, both right, one wrong one right, or is it an opinion you do not care to share with us? Yes, Gb – I’m happy to share my opinion with you. I’m surprised, assuming you’ve read the article, that you need to ask. I think both were wrong. Killing innocent people is wrong. End of story. giordano, off course both were wrong and indefensible. But you miss the point. The current narrative is: IRA killing civilians = barbaric and wrong. British killing civilians = unfortunate but necessary. Think of the plaque unveiled to Thomas Begley. Compare that to the new Bomber Command memorial. Hypocrisy? At last an unequivocal statement “killing innocent civilians is wrong”.Progress on some of your previous blogs on the Shankhill bombing.And before you ask, I would say the same about Mc Gurks Bar and other similar paramilitary outrages. I do get the point about hypocrisy of course. And I agree with it. Sometimes though (like the young guy on Nolan this morning) that argument is used to avoid giving a judgement on a specific incident. “this was wrong”. No ifs no buts. Anon 17:49 – Locate me the point in previous blogs where I say killing innocent people is ok.
giordan – thanks for your answer. You will appreciate your reply did suggest that some would use their answer in a whataboutery way. I agree with that. This Irish Republican did not. There were no ifs or buts from me. Nor from Jude, I believe. Is it wrong to point out the beam in another’s eye? It is never wrong to point out hypocrisy. Just because one can point to this hypocrisy is not always about whataboutery. Sometimes it is merely a fact. Innocent people died that day. A horrible day for Republicanism, for Unionism and for the people of Ireland. Just like those days when the bombers visited the cities of Europe – all in the name of a cause. 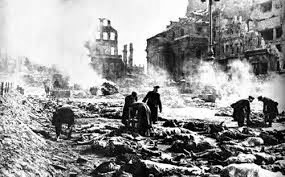 Is the Bomber Command memorial within walking distance of sites of it’s carnage like Dresden? Do the people who walk past Bomber Command’s WWII memorial then go onto potentially mingle with shoppers and workers in the city centre who have been in a WWII RAF bombing raid? Possible, but unlikely. Do the people who perhaps see Begley as a hero/soldier and give the thumbs up to his ‘unfortunate but necessary’ handiwork have to see potential victims of his work every day if they go to the city? Nearly everyone in Belfast has some horror story or some mental wound. Publicly commemorating people who have taken the lives of others is sickening and destructive. Should we start sticking up SAS plaques to say a job well done? No. Unnecessary and hurtful. Should we perhaps pay a bit of attention to all the parades, bands, memorials and commemorations that we have? Some of those parades simply aren’t welcome in some areas and I think that should be taken into consideration (e.g. Bellaghy). I’ve been to the memorial services there. Carried a flag too if I recall correctly. We can have the services without the marching. One CAN survive without the other. We can also commemorate people without making a public spectacle out of it. What Begley did was hurtful and destructive and extended the life span of those peace walls by at least a generation. Now the subsequent plaque commemoration and (what was effectively a) ‘counter commemoration’ threatens to extend that time frame by another generation or more if a tradition has begun. True, a valid point Dr C.
It reminds me of that Blackadder 4 moment where General Melchett in the same breath refers to British spies as “brave brave honourable fellows “and German spies as “treacherous backstabbing cowards!” (or words to that effect). But as for the Derry Centoaph, do you mean the one in the Diamond? Has it not been there for quite some time? i.e. before Bloody Sunday? If so, well, it’s not quite the same as Begley’s plaque. If a Parachute Regiment memorial was erected in the Diamond a couple of weeks prior to Bloody Sunday commemorations well then yes, a proper parallel and the equivalent in outrage terms. But a cenotaph that has ‘always’ been there and bears the names of people from a Catholic/nationalist background? Not QUITE the same when all the variables are taken into consideration.